So Fridays are going to be set aside for me to spread the love for some of the awesome blogs I love. Some Fridays I may link up to the blog specifically, sometimes it might be a fabulous tutorial by a blog, sometimes it will be a new blog on the block, or sometimes it might be one that is an old pro and everyone knows who they are...so basically Fridays are all about others...aka the people I want to be like when I grow up! She has super cute ideas. Go and check her blog out. No, seriously, just do it. She has a boy and a girl, so she has cute ideas for both genders. What about the ingenious bank idea???? When I get a break in the crazies, I am totally making this. Isn't her stuff wonderful??? I told you that you would be happy if you went to her blog! Doesn't the title of her blog say it all! So cute. This is a fairly new blog, but jump back you would think she was always blogging with all the awesome stuff she does. I might heart this shirt that she came up with to go along with homemade by Jill's car caddy. Every time I go check her blog to see what new things she has come up with, I smile. Go and check her blog out now...I know you had things to do today didn't you, like clean or something. Sorry to ruin your plans! 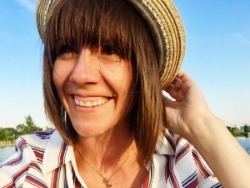 This blog is just wonderful because she gathers tons of great ideas, plus she adds her own too. I love, love, love, all the ideas she puts in one place. Plus I love reading her stuff...I kind of feel like we are long lost friends even though we have never met. Not only does she compile great ideas, but she also has great giveaways. I might also heart this blog because it was one of the first to give me a creative blog shout out with my Valentines Polka Dot Pillow and Banner. This is a great crafty blog. What I really LOVE about this blog is the What are little boys made of weekly round up that happens every Thursday. Everyone pretty much knows we have a house full of little men here. 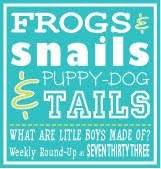 So between this and of course the Celebrate the Boy happening at Made and Made by Rae I have been gathering plenty of crafting ideas for my little men. 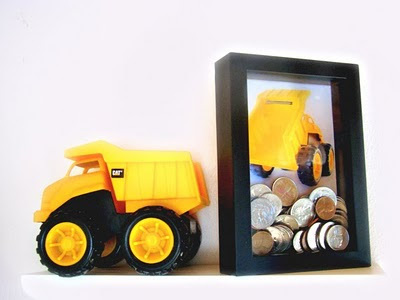 So go and check out the crafts for boys, and hey link up an idea of your own. 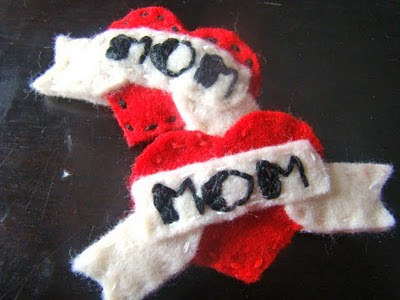 Anywho...here is another blog that shares crafts, tutorials, and the general thoughts of a fellow mother. What caught my eye was this fabulous part of her blog...Make it, Wear it. 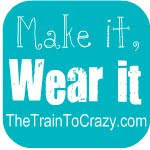 Another way to link up with fellow crafters about what we make for the purpose of wearing. Super fun. Go and check this out and hey, take another chance to link up something you've done. Like I said earlier, I will be doing this every week. If you know of a blog that I need to check out, leave the link in my comments. If you have a blog that you think is blog love worthy, leave me your blog address. I look forward to increasing my blog must-read list, which will undoubtedly decrease my hours of sleep. Hah...sleep, it is highly overrated anyway. I remember that valentines day pillow and banner, it's on my to do list! The polka dot pillow in particular. So be prepared for my link back to that post in the future too! Thanks for including me in your list! Going to check out the others now. Aww, thanks for the link!! I've been enjoying looking at your blog this week too! These are fantastic! More blogs to add to my list-yay!